Paris Jackson attends the Michael Jackson diamond birthday celebration at ?Michael Jackson ONE by Cirque du Soleil? at the Mandalay Bay Resort and Casino on August 29, 2018 in Las Vegas, Nevada. 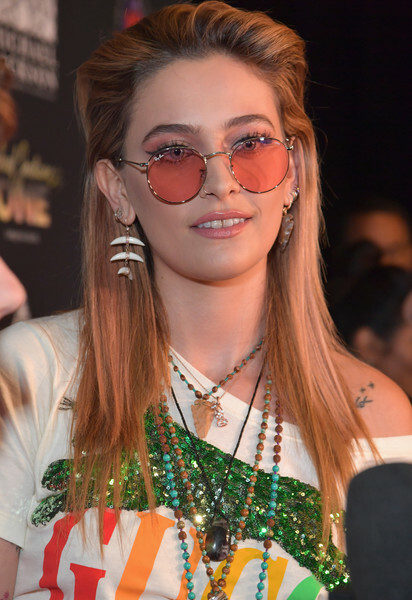 Paris Jackson's coral shades added a hippie touch. Paris Jackson sported an edgy layered cut during Michael Jackson's diamond birthday celebration.